Conde Nast Magazine has completed a new “readers survey” of the least friendly cities in the world to visit, to the most friendly. Here are the 10 least friendliest. Now for the most friendly. Tied for 10th place Salisburg, Austria & Budapest, Hungary…Tied for 9th Seville, Spain &.Savannah, Georgia…8 Capetown, S. Africa…7 Siem Reap, Cambodia…Another tie for 5th Sydney, Australia & Dublin, Ireland…4 Charlston, S. Carolina…3 Victoria, British Columbia…and a tie for the friendliest cities in the world, both from down-under — Melborne, Australia & Auckland, New Zealand. Good news, no unfriendly cities showed up in the Americas – at least according to Conde Nast readers. As for the friendliest cities in the world: Only the United States & Australia had 2-each in the top 10. In a city that is steeped in new technology, San Franciscans are still traditionalists at heart. They love their bars with a sense of history. These spots preserve the city’s history, cultural identity and make some darn good drinks. SF Heritage, which works preserve and enhance San Francisco’s unique architectural and cultural identity, has compiled a guide to more than 130 “heritage bars and restaurants” throughout San Francisco. Here are the oldest, most remarkable bars, each worth a visit. The oldest bar in San Francisco (Elixir will have something to say about that), Old Ship Saloon is a bar made out of a ship hull that ran aground during a storm off of Alcatraz. It was later towed to the current location at the beach. Since renovated, the bar still preserves the memory of the ship. At 16th and Guerrero sits arguably the oldest bar in the city, Elixir. Since the Wild West days, Elixir has been transformed into many things. In 2003 the bar and décor were fully restored, returning it to its original glory. Shotwell’s originally opened as a grocery store saloon by German immigrants with a backroom for beer drinking. Today it’s simply known as Shotwell’s, a place where people come to meet, drink beer and play pinball. It serves only beer, but its beer that is well curated to include many micro-brews from the Bay Area. The oldest bar in North Beach, Northstar is a comfortable neighborhood bar with a lively character, including such eccentricities a customer-of-the month award and a perpetual supply of free popcorn for its happy patrons. The oldest “saloon” in the city, the Saloon has been has been a great place to grab a drink and get your dance through the 2860s, 1960s and today. The oldest business in the Sunset, Little Shamrock has been a favorite watering hole of visitors to the nearby Golden Gate Park for more than a century. Legend has it that the Shamrock first opened in 1893 in another neighborhood entirely but relocated to its current location by 1896, where to this day, people love to have a beer and play darts. 1. Walk with purpose so you look like you know where you’re going. If you’re being followed by persistent hawkers, stop, tell them politely, you don’t want to buy anything, & that you want to walk alone. 3. 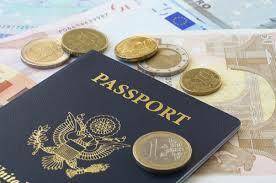 Leave valuables, passport and emergency credit card back at base and in the hotel safe and you’ll feel more relaxed. 4. Don’t accept “gifts” from strangers. Usually they will expect something in return and you might find it awkward to negotiate on the price of that free guided tour or bracelet after you’ve already accepted it. 5. Don’t encourage begging. Instead, try to find a good local charity to donate to. 6. Never say “maybe later” or “maybe tomorrow” as a shopkeeper or guide will consider this a promise. If you don’t want to buy what they’re selling, say “no, thank you” firmly, but politely. Even better, learn how to say “no, thank you” in the local language. 7. Perfect the art of haggling as in many countries you will be expected to negotiate. Think carefully about what’s a fair price – do some research on local prices. Well-made goods deserve to be sold at a fair price. Haggling can be a friendly exchange – so relax, be polite, get bargaining, and you might even find that you can haggle with humour! 8. Research the tipping culture, so you can stop worrying about when and how much to tip. If your driver or guide repeatedly reminds you about their tip, make it clear that if they hassle you, they won’t get anything. Wherever you are, try not to tip bad service, but if someone goes out of their way to help you it’s always appreciated to offer a reasonable tip. With everything from jazz halls to botanical gardens, New Orleans is a place of love, passion and intrigue. But which attractions are best-suited for two? Whether you’re newlyweds hoping for excitement or a happy, well-established couple just looking for somewhere to share a little romance, here are some of the most enchanting spots in the Big Easy. Start your trip with a cozy gondola ride around the lake. Once you’ve serenaded her to your heart’s desire, you can help her ashore for a picnic in the park, where butterflies will drift lazily around your blanket and the birds will sing sweet songs until nightfall. Don’t let sunset run you off, however! The park is a wonderful spot for stargazing, and there’s no better place to declare your love than under a canopy of constellations. Surrounded by antebellum homes and charming, old-fashioned shopfronts, the historic district of New Orleans is perfect for any couple who likes to wander. Walk hand-in-hand through cobbled streets. Comb through souvenirs in the square. Visit famous landmarks like the Presbytere. Once you’re all tuckered out, retire to Maison St. Charles Hotel & Suites, where you’ll find honeymoon suites with king-size beds and jacuzzis awaiting your pleasure. These luxurious accommodations are known around the city for being one of the top New Orleans attractions for couples. 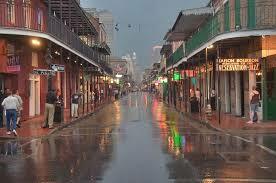 Also known as Vieux Carré, the French Quarter is where lovers gather to experience the beating heart of New Orleans. Shops, restaurants and art galleries dot the sidewalk; horse-drawn carriages will take you anywhere you’d like to go. You can even find free outdoor concerts in local parks during the summertime. Just don’t forget to stop by the French Market, an open-air mall so busy and vibrant that it draws hundreds of tourists a year from all over the country! Nowhere has culture like New Orleans, and a trip through the New Orleans Museum of Art (NOMA) will offer you and your partner a firsthand glimpse at some of the paintings, exhibits and impressionist artwork that put this city on the map. You might also enjoy an afternoon at the accompanying sculpture garden. It’s another great place for flirtatious picnics, and between the sculpture, the wildflowers and a good bottle of wine, you’ll feel romantic and cultured indeed. In a city famous for its jazz, you won’t want to miss Frenchman Street. All the best clubs, cafes and dance halls are found along this strip, including the Three Muses and the Palm Court Jazz Cafe. Sip cocktails on the patio of a 1920s bar or relax into a leather-backed chair through a haze of smoke while live musicians play the best of yesteryear. If you’re feeling especially brave, you might even put on your dancing shoes and try your hand at a waltz! Gondolas may be charming, but if you really want to impress her, book a cruise on the mighty Mississippi. These luxury liners come with everything from five-star meals to live bands, and they offer breathtaking, one-of-a-kind views of New Orleans, the kind you simply can’t enjoy from land. If you’re looking to create an unforgettable night with the one you love, book a cruise and sail away from the city lights for an experience she’ll never forget. GoEuro, (www.goeuro.com) the online platform that compares and combine trips by train, bus and plane throughout Europe, presents its worldwide Transportation Price Index based on the train, bus and flight information for 51 countries across 5 continents. On average, in the US, bus journeys cost $7.92/100km; train journeys $18.61/100km; and flights $10.36/100km. The cheapest country for transport overall is South Africa, where an average bus journey costs $3.67/100km; train journeys cost $1.88/100km; and flights cost just $11.63/100km. – The cheapest countries for train travel are South Africa ($1.88/100km), Georgia ($2.39/100km) and Egypt ($2.49/100km), whilst the most expensive are Denmark ($39.84/100km), Switzerland ($38.28/100km) andAustria ($32.16/100km). – The cheapest countries for bus travel are Egypt ($1.88/100km), Ukraine ($3.07/100km) and Thailand ($3.11/100km), whilst the most expensive are Netherlands ($28.58/100km), Austria ($23.45/100km) andNorway ($21.61/100km). – The cheapest countries for air travel are India ($10.36/100km), Malaysia ($11.43/100km) and South Africa ($11.63/100km), whilst the most expensive are Finland ($138.90/100km), Switzerland ($125.07/100km) andLithuania ($116.72/100km). The Mountain Collective™ has added another premier independent ski destination in North America to its roster of iconic mountains for the 2014-15 winter season. Ski Banff-Lake Louise-Sunshine joins AltaSnowbird, Aspen Snowmass, Jackson Hole, Mammoth Mountain, Squaw Valley/Alpine Meadows and Whistler Blackcomb in this unprecedented collaboration of destinations. Starting today, a limited number of Mountain Collective passes are on sale for only $389 USD. The Mountain Collective™ Pass includes two days of skiing or riding at each of the seven destinations (AltaSnowbird, Aspen Snowmass, Jackson Hole, Mammoth Mountain, Ski Banff-Lake Louise-Sunshine, Squaw Valley/Alpine Meadows and Whistler Blackcomb), plus a 50 percent discount on all additional days with no blackout dates. Pricing for the kid’s pass (ages 12 and under) has been reduced more than 55 percent to just $99 for the 2014-15 season offering an incredible deal for families. The Mountain Collective™ Pass grants access to 15 mountains with more than 38,000 acres of terrain, 212 lifts and an unmatched reputation for snow quality, quantity and steeps. Passes are available online through an exclusive technology, distribution and marketing partnership with Liftopia at www.MountainCollective.com. A limited quantity of passes are now available at this lowest guaranteed price. In addition to being able to ski or ride at seven leading destinations, extra benefits available to Mountain Collective pass holders include exclusive lodging deals and a complimentary one year Protect Our Winters (protectourwinters.org) membership. The Mountain Collective is committed to being in business forever and proudly partners with Protect Our Winters with the mission of uniting the winter sports community on the important issue of climate change. The partnership also offers a 50 percent discount on lift tickets to premier season pass holders at the participating resorts throughout the season, no Mountain Collective pass necessary. Media Contact: Alexandra George, Media@skibig3.com, 403-760-7746.www.SkiBig3.com, www.twitter.com/skibig3com, www.facebook.com/SkiBig3. Vancouver is officially Canada’s top travel destination, according to readers of Travel + Leisure. Globally renowned as the definitive publication for destination and travel information, Travel + Leisure’s annual World’s Best Awards reveals reader evaluations of cities worldwide with ratings based on five characteristics (sights/landmarks, culture/arts, restaurants/food, people and value). 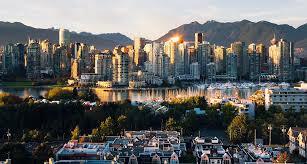 This year, Vancouver’s score was high enough to claim the title of best city in Canada and sixth best in North America. Vancouver also swept the World’s Best Hotel category with five of the top 10 Canadian hotels located here, including Shangri-La Hotel Vancouver (1), Rosewood Hotel Georgia (2), Wedgewood Hotel and Spa (6), The Fairmont Waterfront (7) and Fairmont Pacific Rim (9). To read the news release, click here.